Remember when you were just a child; the times you fell and scuffed your knee? Your parent picked you up, brushed you off, kissed your “Boo-Boo” and dragged out the words, in an animated voice, “aaaallllllll better!” It was an easier time, when distraction worked in the safe world they created for you, knowing the day would come when they could no longer shield you from the pain of the real world. Remember the time when your “best friend” left you for a new one? Or the time your first love broke your heart? You thought you would never survive it. Guess what? You did. But what happens when the heartache becomes unfathomable? When you lose your “first” childhood friend: your sibling, the one that was always supposed stay beside you through life? The one person that was meant to be the longest relationship you would ever have on this earth? What happens when it’s more complicated than a scuffed up knee? When it is not a knee that is bleeding, but your heart? What if it’s a Boo-Boo that has wounded your entire family, leaving no one to attempt to kiss away the pain. A complex injury perpetrated by your once safe world that has now become the culprit of your greatest pain; a loss that the words “aaallllll better” will never be able to fix. With graduation commencements upon us, young adults who have lost a sibling in the middle of their studies, were like wounded soldiers, that have dragged themselves across the finish line of academic excellence amidst enemy fire. Graduates who have not only worked hard at school, but hard at drowning out the sound of cold, unkind, judgmental voices, while struggling with feelings of deep loss and anxiety. The world should applaud you! You marched with the love of your sibling beside you, urging you forward!” I applaud you!! As the coordinator of a peer-facilitated support group for those who have lost a sibling to the disease of addiction, know that your parents are proud of you!!! In the midst of their grief they are proud! Unfortuanately, addiction is not just an individual disease. It is affects the entire family unit. 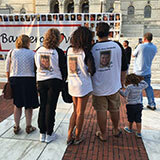 Siblings unfortunately suffer a profound loss that is so much more complicated. They hurt so deeply watching their parents grieve, they have learned to suppress their own. We have had one sibling graduate with a BA in Liberal Arts majoring in Psychology after losing her sister, another young lady who graduated from Bryant University who double majored in Marketing and Management with a minor in Communications who lost her only brother, affectionately nicknamed “Batman,” and a young man who walked across the stage with his Masters in Public Administration in the midst of losing his only sibling with a GPA of 3.92. Yes, students graduate every year! 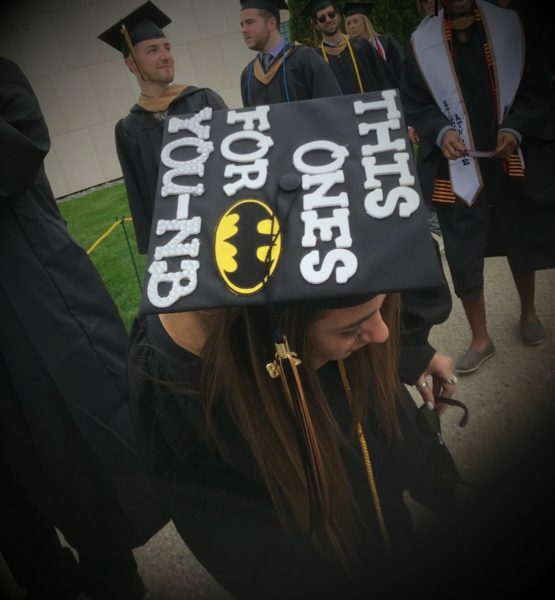 So what makes these graduates so special….. They all have lost a sibling within the last year. Hats off to you and the love for your siblings! They will march beside all the days of your lives! You are special group of young adults. Continue to show this world your resilience, love, and your determination to keep the memory of your sibling alive! NEVER let this world define them by what they struggled through. They were yours, and forever will be! Their love AND their struggles made you the affectionate young people you are today! Much love to you all!